Men - Nova Fashions USA - Custom designer tailor made suits by Mike the Suit Guy! Custom Tailored Men's Suits by Nova Fashions USA, Inc. speak for themselves. Every client is a walking billboard that speaks volumes to our workmanship and service. Every suit is individually made to your exact measurements and your style preferences. Upon completion, each suit is carefully checked by our master tailors, to maintain our high quality standards. All button holes are hand-sewn with the finest silk thread – a keynote of quality workmanship. Once Mike, our Master Tailor, has your measurements, they will be saved in our database to make it easier for future orders. If you haven't changed sizes, a new custom suit is only a call, text or email away. 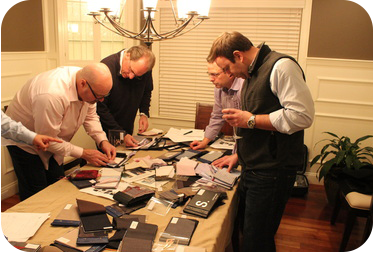 Choose your style classic or contemporary, GQ, or Italian, or create your own from a variety of options. 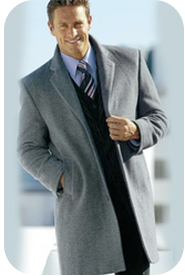 We can duplicate any garment, whether an old favorite suit or reproduce any style from any fashion magazine. Please browse our styles and contact us to make an appointment.